The opportunities to make a difference are endless - you’ve heard that before. 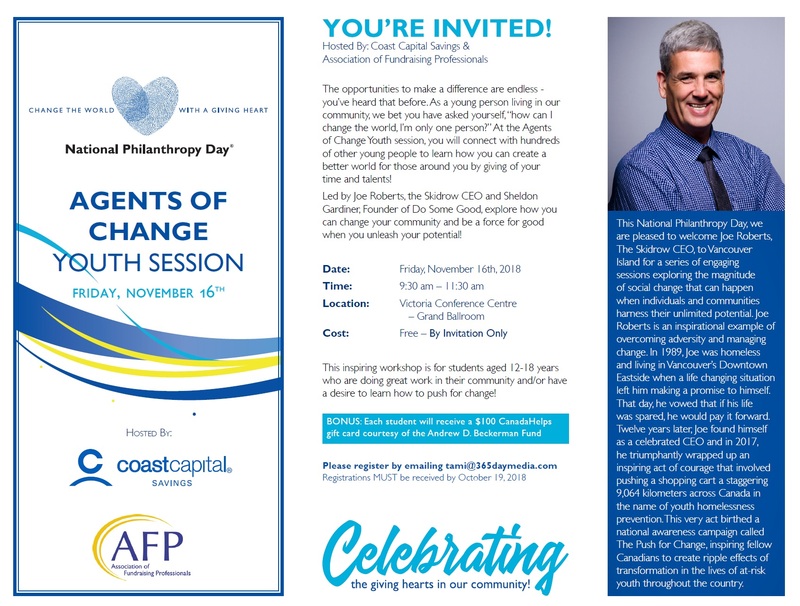 As a young person living in our community, we bet you have asked yourself, “how can I change the world, I’m only one person?” At the Agents of Change Youth session, you will connect with hundreds of other young people to learn how you can create a better world for those around you by giving of your time and talents! Led by Joe Roberts, the Skidrow CEO and Sheldon Gardiner, Founder of Do Some Good, explore how you can change your community and be a force for good when you unleash your potential! 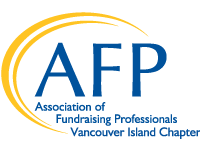 PLUS, just for attending this amazing session you will leave with a $100 CanadaHelps gift card, meaning you can donate immediately to a charity that you wish to support. An incredible gift, made possible by the Andrew D. Beckerman Fund. Cost: Free – By Invitation Only. Who this is for? This session is for students between the ages of 12 and 18. But parents/leadership teachers are also welcome to sit and listen to the discussions. Joe Roberts is an inspirational example of overcoming adversity and managing change. In 1989, Joe was homeless and living in Vancouver’s Downtown Eastside when a life changing situation left him making a promise to himself. That day, he vowed that if his life was spared, he would pay it forward. Twelve years later, Joe found himself as a celebrated CEO and in 2017, he triumphantly wrapped up an inspiring act of courage that involved pushing a shopping cart a staggering 9,064 kilometers across Canada in the name of youth homelessness prevention. This very act birthed a national awareness campaign called The Push for Change, inspiring fellow Canadians to create ripple effects of transformation in the lives of at-risk youth throughout the country. Sheldon Gardiner is the founder of Do Some Good. It all started when he was looking for suitable volunteer opportunities for his 2 daughters. After struggling with finding online matches and learning about the challenges overall with student volunteering, he thought something should be done. Along with a friend and former teacher, he came up with an idea to develop technology to engage students and track volunteeer hours. Volinspire was launched in December of 2015. They have since launched a new APP, empowering users to make an even greater difference in the world around them. Expanded features now put purchasing power and social influence into action with the ability to drive donations based on where you shop, promote worthy causes to your network, donate to charities and more. Everyone now can make an impact even if they are too busy to volunteer. Given that this enhanced functionality extends well beyond volunteerism, they renamed the APP DoSomeGood.